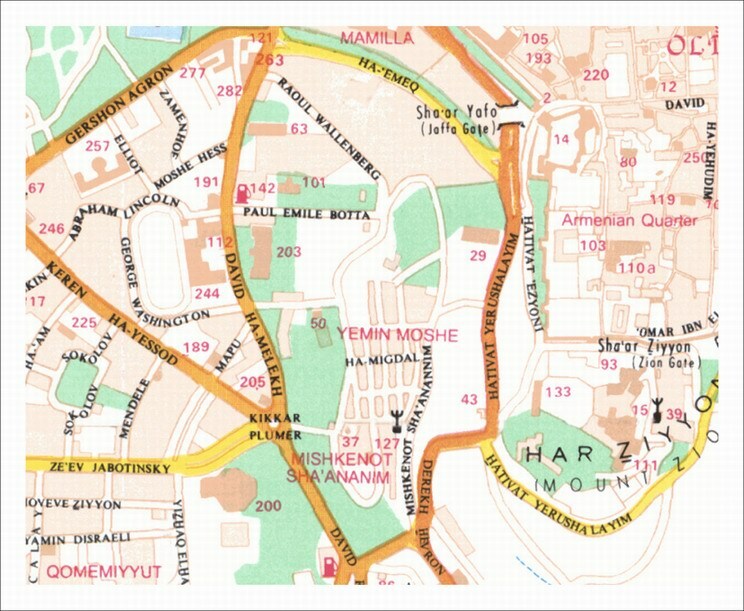 Named after Sir Moses Montefiore, Yemin Moshe is located next to the neighborhood of Mishkenot Shaananim and faces the western side of the Old City. 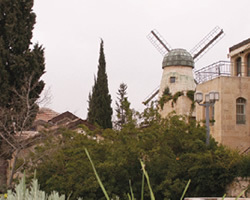 It was established outside the Old City walls in 1893, It is easily identifiable by the large windmill at the top of the hill overlooking the Hinnom Valley on King David Street. After the Six Day War it was renovated and today there are about 130 houses in this picturesque neighborhood. The neighborhood is the home to wealthy writers, academics and artists whose works are sold in the area's galleries. The neighborhood also houses a music center, a guest house and a small museum dedicated to the life and works of Montefiore located within the windmill, which was erected in 1857.